Last night I was watching the Food Network last night and caught an episode of “Throwdown with Bobby Flay“, nice write-up here about the Buffalo Wing battle. This of course made me think about my own favorite wings (other than the free ones at RJ’s). 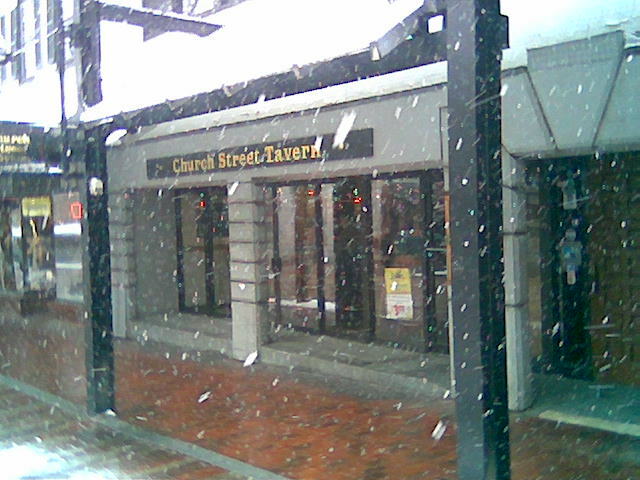 The Church Street Tavern is in fact located on Church Street in Burlington Vermont. This wings are nice and crispy, fat rendered, cooked perfectly. 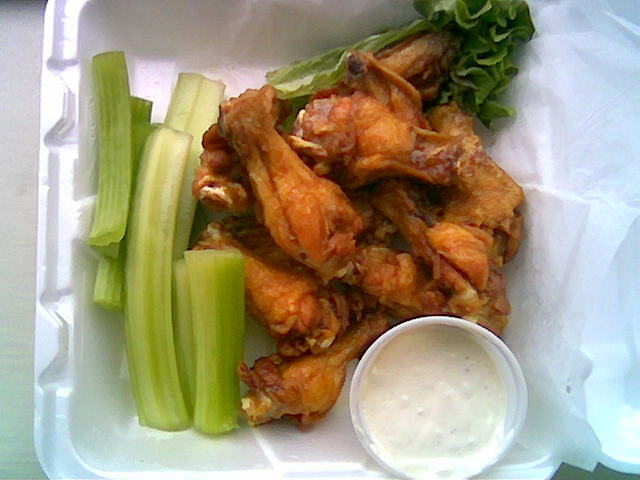 These are also large wings, you could probably order the small (6 wings) order and be OK for lunch. I usually dislike Habanero peppers, but here the heat and flavor of Habanero is a perfect foil for the sweetness of the honey: sweet and heat! 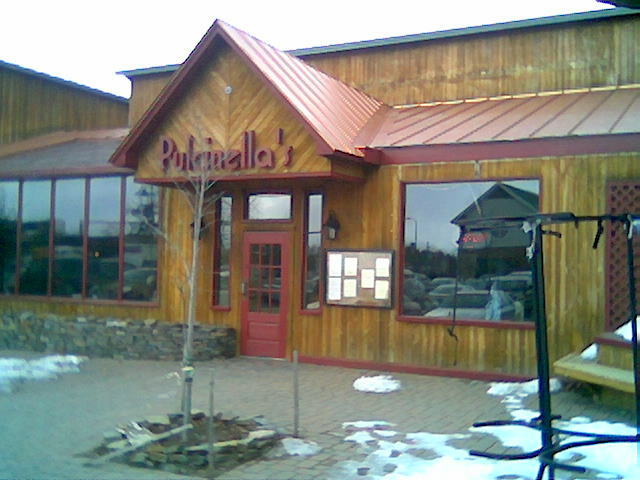 The wing sauce is unique and captivating, so I haven’t really tried the other flavors on the menu, but I hear they’re good. 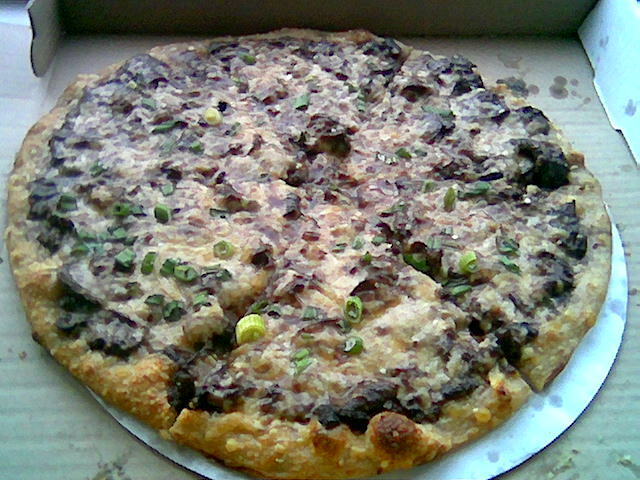 There is also a generous amount of celery and blue cheese / ranch dressing included. 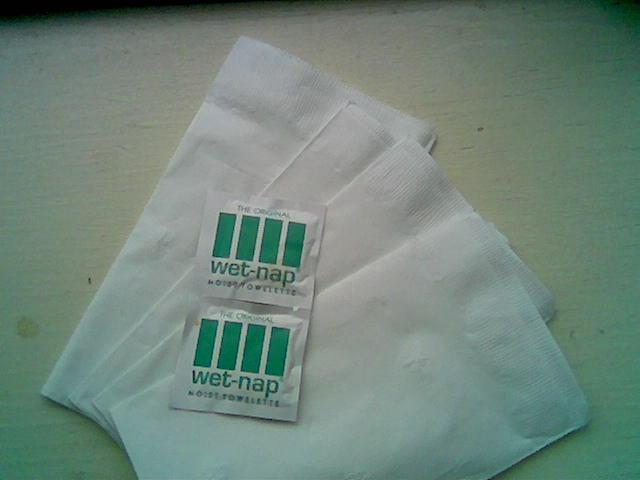 Another sign Church Street Tavern takes their wings seriously is the inclusion of wet-naps and plenty of napkins. 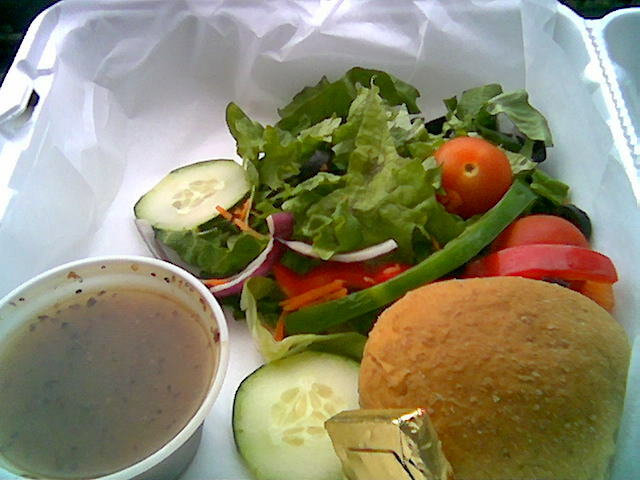 While the wings were awesome (as always), the salad had dressing issues. Kudos for the nice wheat? roll and Cabot butter. The requested balsamic dressing was sweet, and not good, I actually threw out the salad because I didn’t have any other dressing (In retrospect I should have re-used dressing sides from the wings). The wings were a little pricy at $8.95 (cost is the reason the wings are not my number 1), and the small salad was $3.95.